Ensure the preferred options are enabled. Outgoing messages will attempt delivery for 1 hour, 6 hours, 1 day, 3 days or 5 days. A confirmation message will appear when messages are deleted. 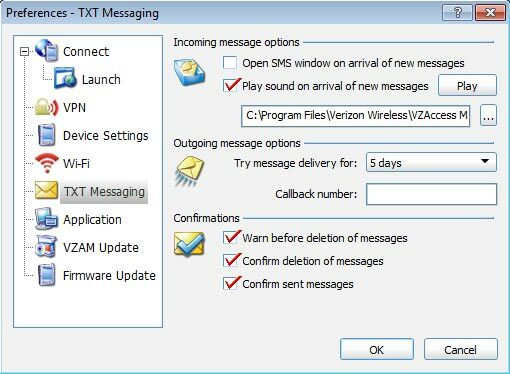 A confirmation message will appear when messages are sent.